Yes! we’re back to close the year with a realy fun gig! And, we’ll have to behave. 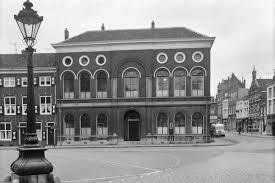 The beautifull tavern used to be a policestation. Those ol’ cell doors are still used in the restrooms. Don’t want to get locked up!